More than 20 years after Rich Petras was first inspired by photographs of a thin layer of water frost formed on the surface of Mars, he is living his dream of exploring the Martian surface. Petras, a resident of Stevenson Ranch, is one of 650 Jet Propulsion Laboratories team members on NASA's Mars Exploration Rover mission to search for signs of past life on the Red Planet. "It is exactly what I would have wanted to do," said Petras, a senior engineer and one of the drivers of the Spirit rover, which landed on Mars on Jan. 3 for a three-month mission to search a crater believed to be an ancient lake. "It is something you hope for. You go in the direction that is most interesting," he said. 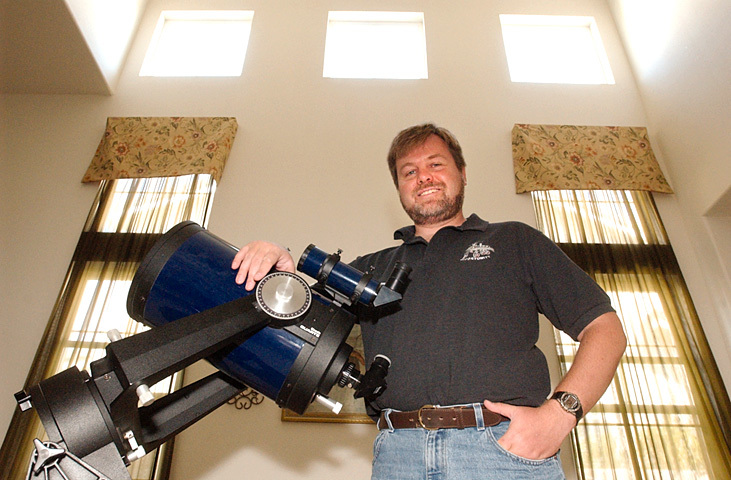 Petras, 41, became interested in space exploration and robotics during high school after reading an article in Astronomy Magazine on NASA's Viking lander, which surveyed Mars in the late-1970s. "I thought, 'Why haven't I heard about this before?' The cover picture was the Viking lander in a field of frost. It was all white," he said. "You see weather and it reminds you that it is a real planet." With his new found interest, Petras went on to graduate from Drexel University in 1986 with a degree in mechanical engineering, before going to work for IBM Federal Systems in Houston, to work on the space shuttle program. Ten years later, Petras went to work at JPL. "I saw an announcement for a job at JPL, similar to the work I was doing at IBM and called," he said. "Within two months, I was in Pasadena working on various rovers, the predecessor of the MER." In April 2003, Petras went from researching different rovers to working on the flight projects for MER. Since January, he has been working as one of operators of the Spirit rover. "It has been pretty exciting," he said. "We are the first ones to see the photos." When Petras isn't operating the Spirit rover, he is mentoring the Hart High School Robotics Team. Petras has been a mentor for the team since it was founded four years ago. 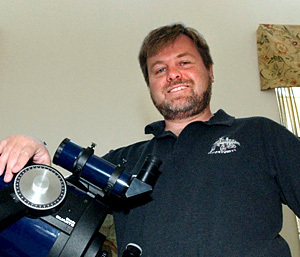 "A friend of mine at JPL was mentoring a team and I thought that it was interesting and something I might like to do. Then I found out that Hart wanted to start a team," he said. "So I volunteered to mentor the team. "It has been a great thing and a lot of fun. Basically, I let them know how robots work and whether the physics of what they are doing is going to work. They have gotten to the point now where they run the entire program themselves." Petras also works with Team Caltech, from California Institute of Technology, who participated in a 150-mile, 10-hour off-road race driven completely by unmanned robotic vehicles Saturday from Barstow to Primm, Nev. The race requires that the vehicles cannot be controlled remotely  they have to navigate by themselves  and is sponsored by the Defense Advanced Research Projects Agency, the Pentagon's research and development arm. The vehicles in the Grand Challenge Race are part of the Pentagon's efforts to have one-third of all ground vehicles unmanned by 2015. Two hours before the race, competitors received a CD-ROM with Global Positioning System coordinates that chart the course. To ensure safety, each contestant was followed by another vehicle, with a judge ready to hit a kill switch if the robot goes astray. "I think it is a lot of fun. I like robots. I also like teaching other people about robots and the kids seem to enjoy it," Petras said. "From a JPL stand point, we need people who are interested in robots."